Del Rey Books, 9780345523532, 415pp. 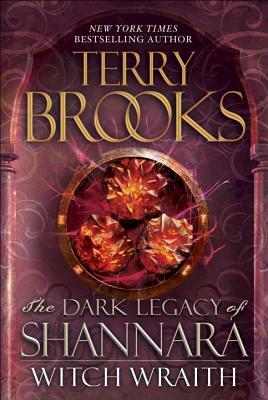 Terry Brooks is the "New York Times" bestselling author of more than thirty books, including the Dark Legacy of Shannara adventures" Wards of Faerie "and "Bloodfire Quest;" the Legends of Shannara novels "Bearers of the Black Staff" and "The Measure of the Magic; "the Genesis of Shannara trilogy: "Armageddon's Children, The Elves of Cintra, "and" The Gypsy Morph; The Sword of Shannara;" the Voyage of the""Jerle Shannara trilogy: "Ilse Witch, Antrax, "and" Morgawr;" the High Druid of Shannara trilogy: "Jarka Ruus, Tanequil, "and" Straken; "the nonfiction book "Sometimes the Magic Works: Lessons from a Writing Life; "and the novel based upon the screenplay and story by George Lucas, "Star Wars: (R) "Episode I "The Phantom Menace. "(TM) His novels "Running with the Demon "and" A Knight of the Word" were selected by the "Rocky Mountain News" as two of the best science fiction/fantasy novels of the twentieth century. He lives with his wife, Judine, in the Pacific Northwest.